Getting ready for pregnancy with a fertility diet is so important! The genetic material (and its strengths and weaknesses) of both you and your spouse will be responsible for the building blocks of your baby and what you eat can determine how healthy that DNA will be. * What you eat also affects your hormones. A diet based on whole foods (foods not processed) will provide you both with the most nutrients possible. It’s also important to eat a variety of different foods to make sure you’re getting all sorts of different vitamins, minerals, and nutrients. One of the most important steps in cost-effective cooking (especially when eating real foods!) is deciding logically and intelligently what your meals are going to be for the week. I can definitely tell that in our season of busyness and lack of time to plan has definitely taken a toll on our grocery budget. Not only does planning out our weeks menu make grocery shopping and meal preparation easier, we’re also able to look ahead to make sure it has plenty of nutrients. Meal planning, along with my fertility foods checklist, has been helpful for me to make sure I’m getting what I need. The menu below is one of my own personal menus, and I share it to give you an idea of the foods to incorporate into your diet, but please work with your health care provider to personalize a menu based on your medical/nutrient needs. Most importantly in this menu though is the lack of refined sugars and processed foods which can deplete your body of vital nutrients or don’t contain the nutrients you really need in the first place. The only sweeteners I use are honey, maple syrup,and very sparingly whole cane sugar. I make all of my bread products, mainly through the process of sourdough to make nutrients more available. Water kefir, kombucha, and fresh milk are my drinks of choice during meals. Not only does this menu nourish my entire family, it’s a great source of very fertility friendly foods. Dinner – tacos with homemade seasoning and shells. Serve with cheese, dark green lettuce, homemade guacamole, creme fraice(like sour cream) and fresh salsa. Lunch – taco salad (leftover taco meat, red and green leaf lettuce, some iceberg lettuce, cut avocado, fresh salsa, seasoned brown rice, and sharp cheddar cheese. 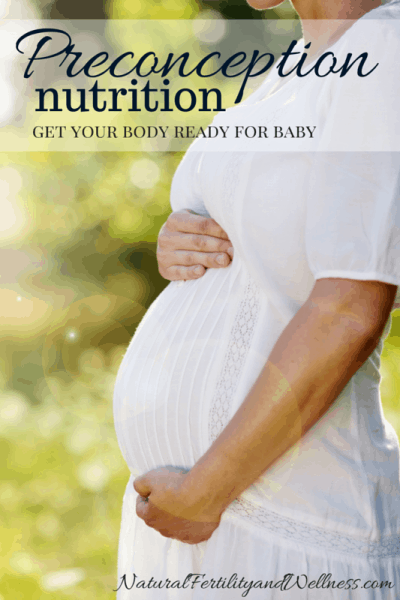 **many recipes linked to offer allergy and fertility/nutrient boosting options. That’s a nicely balanced diet, Donielle. Thanks for sharing it! You’re better than I am about being purposeful with fish. I definitely get it in once a week, occasionally twice, but I’d like to aim for more! I also do lots of yogurt and kefir, because I’m not a huge milk drinker and our raw milk is sadly too expensive. Hey thanks! I tend to forget about fish myself, so I’ve written it down in my list of ‘normal meals’ that I refer to when planning out a weeks worth. So what is a person to do who can’t eat a lot of those things? I try to get my protein in other meats and in nuts, but dairy is pretty much out, fish I test for some allergies to (but not shell fish, go figure), and no gluten for me. With next to no enticing veggies around this time of year, what’s a girl to do? zebe – That does get difficult when you have certain allergies and food sensitivities. I know dairy is out for you, but can you do eggs? They are a good source of protein and good fats. Nut butters are too. And I do know folks who make all of their bread products gluten free, so it is possible to eat ‘almost normal’. And I here ya on the veggies! I’m stuck buying at the supermarket until the seasonal food comes around again. Not my favorite thing to do, but I have to to get veggies I like this time of year! And one final word – gluten free/casien (milk)free diets are talked about on the web quite often as they are associated w/ treating autism, so you should be able to search for some different recipes and meal options. There are many books out there about it now too. I have trouble finding new things to eat for breakfast… I detest eggs. They make me sick. 🙁 The only eggs I can seem to tolerate is powder, which I cannot seem to find anywhere. No fish or seafood for me either…. Try raw cold pressed flax oil on your salads to help with omega 3 intake since you can’t eat fish. Walnuts are probably the best nut to help with that also. Eggs are an easy and inexpensive source of high quality protein. Try making a quiche with lots of veggies that you can save for the week (crustless of course) and take slices with you on the go. Try to ease into food you may not like and you may find yourself eventually enjoying them. Think of it as the easiest and cleanest way to heal your body. I forgot to ask… what kind of butter do you use? For butter, I buy organic unsalted or I make my own. That said, if I have to bake something for a church get together or something, I go out and buy cheap butter – cause it’s not like anyone there cares. (they really don’t) I’ll save the good expensive stuff for my family! Your menu plan sounds delicious! This sounds really fairly close to my gestational diabetes diet! Semi grain-free and wonderful for blood sugar (which is very important for those with PCOS). I am also one of those people who detest eggs. I can’t even stand the smell! Any suggestions for alternative for healthy breakfast? Thanks. Thank you for sharing this menu plan. I love that you include snacks in your planning, too. We totally, completely, horribly, blew our grocery budget last month. I must get back to menu plan, all the way down to snacks, too. This was another reminder. Thank you! Great looking menu plan. I find that having meals planned out reduces my stress level a lot and frees up my evenings a little more. Not only is this a healthy menu, but it sounds absolutely yummy! Thank you for sharing. I also find that pre-planning meals, or having components for quick meals readily available saves a lot of time and stress when it comes to cooking! I have been thoroughly enjoying your blog, it’s very inspiring! I have a question about roast chicken – how do you prepare yours? The recipe I always use calls for slathering the bird in olive oil and herbs and baking at 400 for an hour, which makes a nice crispy skin. I wonder if you have a recipe that uses butter or coconut oil instead? Or your thoughts on olive oil in general. @Danielle W., Thanks Danielle! You can easily slather the bird in any oil or fat with good results – though I like olive oil too. I actually tend to do mine in a crockpot (the skin won’t crisp this way) for ease in making. Kind of an easy cop-out. Put it in in the morning and it’s ready by dinner – super moist! I’ve noticed that almost none of your breakfasts include grains. Any specific reason? Ever since I’ve tried to eat healthy (motivated by having high blood pressure during my pregnancy and enjoying the Brewer’s diet, and now as my first DD is beginning solids) I’ve done oatmeal or a different porridge (cornmeal or brown rice) plus two eggs, usually boiled, and a piece of fresh fruit. Weekends we usually do buckwheat pancakes (buckwheat flour, egg, milk, honey, banana). But I’m new to all of this whole/natural foods stuff so I know I have a lot to learn! @Lori Ann, The reason I don’t include a lot of grains in our diet, and more specifically a fertility diet, is two fold. The first being that grains need to be properly prepared to remove something called phytic acid, which can bind to nutrients in the body and pull them out. So essentially you’re eating nourishing foods, only to lose them. They are also harder on your body to digest. The other reason is that even when consumed as a whole grain, they affect the blood sugar levels and therefore the insulin levels. Especially in the morning we want to ‘break our fast’ with something that won’t cause our blood sugar to rise since it sets the stage for the entire day. We try to limit our grain consumption to just a few times per week, which is what I feel is more appropriate than the FDA food pyramid. Grains also take up space in our tummys when we could be eating something that would benefit us more. lately I’ve been trying to consume mostly veggies instead of fruits in the AM as well as something like eggs or yogurt – doing something like pancakes just once a week for our Saturday breakfast. Absolutely love your blog. I’m hoping my daughter will start reading it. She and her husband have been trying for a couple of years to get pregnant. I’m convinced it is mostly nutritional, but I’m not sure she is. She is adopted and had a horrible nutritional deficiency when she came into our home at 11 months old. Our diet was better but I’m afraid not all that she needed. Trusting the Lord in His wisdom. Sure would love a few more grandchildren. I just stumbled upon your site and it peaked my interest when you mentioned PECOS. I was diagnosed with it a few years ago and I felt like I just had to accept that I may never have kids, plus I just turned 40 last month. Is there still hope for me with this diet? @Roxanne, There’s always hope. 🙂 I’ve also heard that sometimes once you figure out the right diet for your body and overcome PCOS symptoms, age isn’t as big a factor since you haven’t gone through as many eggs. Don’t know how true that is, but it also makes a bit of sense. 🙂 And I happen to know many women over 40 that go on to have children. Sometimes it takes a bit more work in cleansing and healing the body, bit it is definitely possible as long as you have eggs left. I’d recommend reading “What Your Doctor May Not Tell You About Premenopause” as well. I just finished reading it and it’s a very informational book on the hormone changes that a woman goes through after 30 and how to balance hormones, and keep them balanced. otherwise, check out the table of contents (www.naturallyknockedup.com/table-of-contents) for more articles here based on nutrition for both cleansing and building nutrient stores. For PCOS the biggest things are usually getting in lots of good fats while cutting out sugars and grains, which this sample diet does. I’m highly allergic to eggs (my husband doesn’t like them either), I noticed eggs on here a lot, what would you recommend instead? @Ashlee Disman, Eggs are great, but you can eat other nutrient dense foods to fullfill the same needs. Check out these posts: http://www.naturallyknockedup.com/start-here on diet, especially the ones on super foods. They’ll give you a good idea on what foods will nourish your body the most! I am struggling with severe adrenal fatigue and have been sick for about 5 years (during which I didn’t know what it was and got pregnant 2 times – full term- and miscarried once) My body is worn out but I am so sad on the days I can barely take care of the two that I have that I might not be able to carry another. I get pregnant right away and have no issues but in the end I am totally drained. will this diet be a good start for healing and then looking to maybe get pregnant again someday? @Jackie, Yes – this diet will be a perfect start for you! I would also recommend looking in to and researching supplementing with some vitamin C and a vitamin B complex to help with the adrenal fatigue. I also took a dessicated adrenal supplement for a few months (along with LOTS of extra rest) to help me in supporting my adrenals. I would also recommend trying to find a holistic practitioner to work with if you can. ok i am new to this and i am looking to start a new way of life and a healthier way. do you have any tips for a girl like me? My biggest advice is just to take it one step at a time, either finding new products one at a time or changing just one meal at a time.